I really enjoyed Loon. It's a pretty typical memoir, told from the eyes of Jack McLean who was the first Vietnam veteran to attend Harvard after serving in Vietnam. It's a very well written book. It doesn't dwell on anything too long and does a great job of mixing informative back-story with compelling firsthand narrative. Many times, memoirs get bogged down in one area of the author's history that he really wants to explore, and consequentially the entirety of his reading audience is forced to explore it with him. Not so with Loon. McLean gives us enough of his backstory (before signing up with the Marines) to help us understand who he is and why he would leave a comfortable New England society to serve in an unpopular war, but he does so with a deft touch. Moving the story along with interesting stories of his tour and helpful contextual events to help the reader see the larger picture. 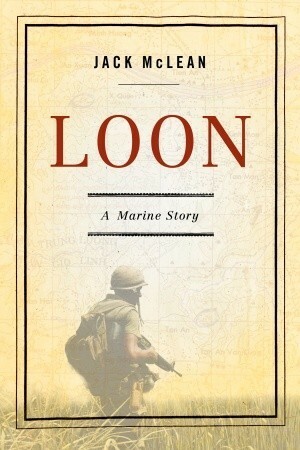 Loon is a relatively short read and one that I would recommend to anyone interested in the Vietnam war and its effect on our young men.